Karina's Kreations: Peaceful Season Beauty! I love this card! 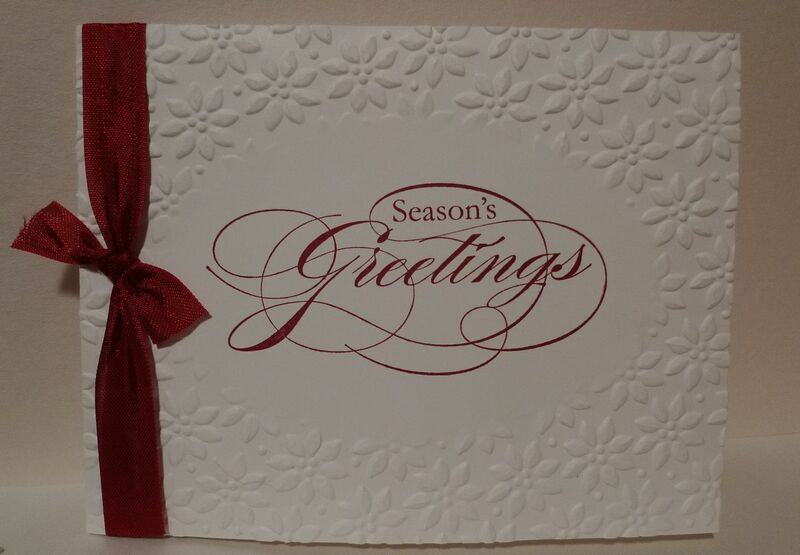 I received this as a swap from my stamping friend & demonstrator Joanne Rolstan. I made 10 sets of these to sell at my booth next weekend at the Flaunt show at the Oasis Convention Center 10930-177 Street. Admission is free with a donation to the Terra Center for pregnant and parenting teens. Come see me at booth #33. I'll have a quick card that you can make. 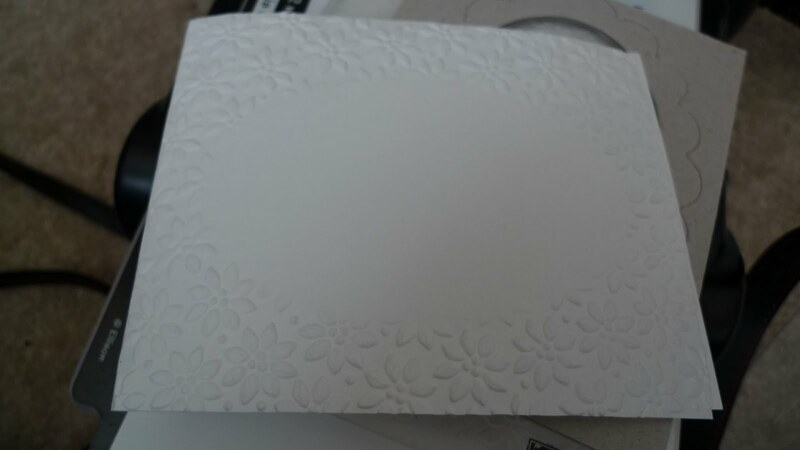 Anyway, this card took 5 hours to make because I couldn't figure out how to emboss the card and leave the center open for stamping. I'm posting this card because I never want to forget how to do this and I want you to be able to make one of these cards too. If you buy this embossing folder from me by Nov 1, I will make you a chipboard template for FREE. 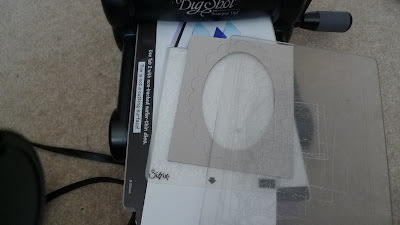 You need to make a template out of longboard with the oval scallop frame and the Big Shot die cut machine. Open to tab 1 on your multipurpose platform, place your card stock inside the embossing folder and lay on the multipurpose platform.Place your longboard die over the embossing folder and cover with a plastic cutting pad. Roll through the Big Shot machine. It's so easy once you have a long board template.